The 2015 Tre, Brancaia's Sangiovese-based red, is bold, racy and super-expressive. A rush of black cherry, smoke, tobacco and licorice infuse this open-knit, inviting wine before Sangiovese aromatics appear on the finish to add lift. Drink it over the next few years. Lovely density and vibe to this 2015 red with cherry, strawberry and orange peel character. Medium body, fine tannins and a fresh finish. Drink now or hold.  Brancaia usually adds a little Merlot (20%) to this wine to soften and flesh out the crisp tightness that comes from Sangiovese. The 2015 Chianti Classico Riserva is a beautiful wine that plays its best cards in terms of mouthfeel. The bouquet is beautiful as well, with dark fruit nuances that are layered tight. You get wild cherries and red rose petal in generous supply. The mouthfeel is light to medium in texture, but it shows more smoothness and silkiness compared to many of its peers. A spicy Chianti Classico Riserva showing dried red plums, dried roses, mahogany, forest floor, cedar, white truffles, wet earth and leather. But it#s all so fresh and delightful. The palate#s so focused and refined as the firm, wonderfully savory tannins dance between layers of dried fruit, which remains so pure due to the wealth of punchy acidity. Hints of orange rind on the long finish. Like a baby Brunello. Drink in 2024. Mittleres Gelbgrün, Silberreflexe. Feine Kräuterwürze, ein Hauch von weißer Steinobstfrucht, zarte Zitrusnoten, attraktives Bukett. Saftig, facettenreiche Säurestruktur, mineralisch, fruchtbetonter Abgang nach gelbem Apfel, anregender Trinkfluss. The intensely straw-yellow colored 2017 Ried Superin Grüner Veltliner Federspiel is ripe and elegant on the intense but fine nose. Bottled in June 2018, this Federspiel is very elegant and fresh on the palate, where just one gram of residual sugar gives a clear and stimulating character. The grapes for the Superin were harvested during the second half of September, so quite early, which gives the 2017 its stimulating character. Tasted in Dürnstein/Wachau, September 2018.